From left to right: Jennifer Trevor, Jack Kelly, ATS DC staff Nuala Moore, Jody Haddock and Steve Kirtland. 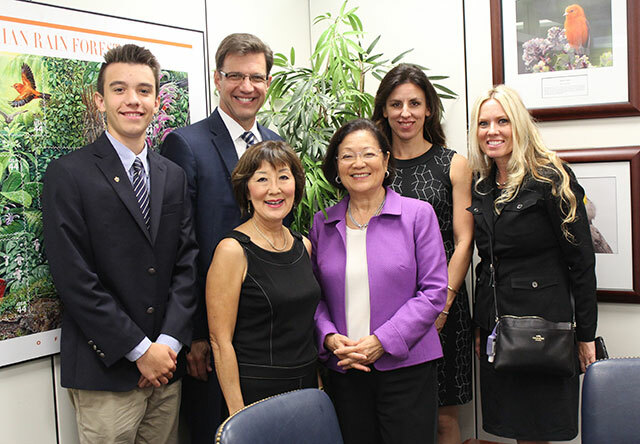 From right to left: Teresa Barnes, Allyn Harris, Sen. Mazie Hirono (D-HI), Chris Fukui, Tim Blackwell and son. 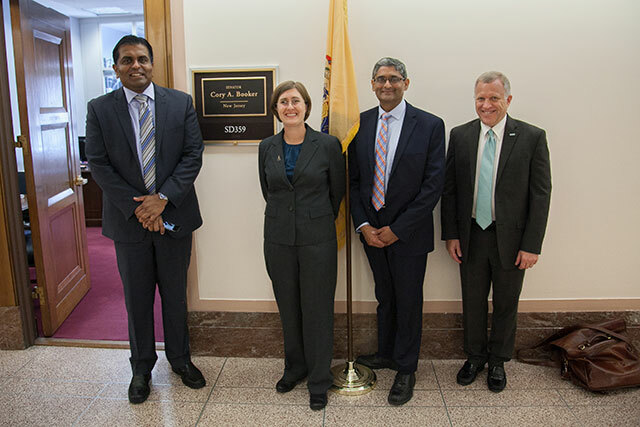 From right to left: Stuart Sweet, Jag Sunderam, Katie Kroner, Ravindra Rajmane. ATS members from around the country came to Washington, DC, on Thursday, March 17, 2016, to speak with members of Congress and their staffs to advocate for issues of importance to the ATS. More than 40 ATS members and patients with lung disease participated in the event. 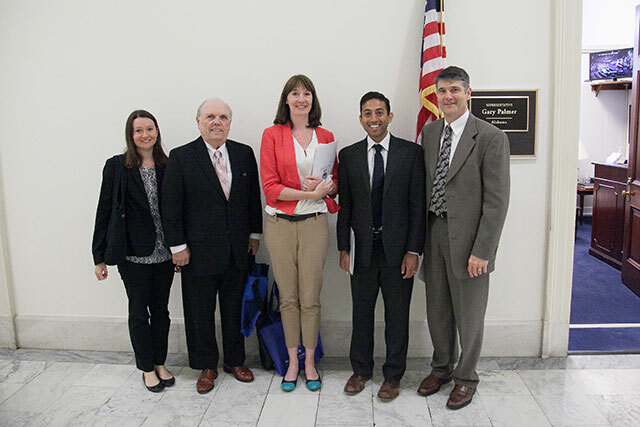 ATS members shared with Congress patient stories on how research is bringing new hope and new cures to patients with lung disease. ATS members also informed Congress that TB and antibiotic resistance continues to be a public health threat around the world, that cigars are bad for public health—especially the fruit-flavored cigars that are being marketed to kids.